Over the last few years Poetry Northwest has established a tradition of publishing theme based issues. Last spring saw The Science Issue. The year before saw TheCarolyn Kizer Issue. Influences, politics, and music were the focus of other themes. Our current issue is The Photography Issue. It’s our largest one ever, clocking in at over 70 pages, and features poems and photos juxtaposed against each other in a way that emphasizes an aspect shared between the two art forms: the act of creating a good poem or a good photo is essentially, to borrow a phrase from Russian filmmaker Andrei Tarkovsky, “sculpting in time.” They distill singular moments into small sustained emotional eternities that impact readers and viewers over and over again. Their perfectly balanced elements strike upon something that simply wouldn’t exist if everything wasn’t placed just so. Those lines come from Bill Carty’s poem “Scarecrow,” printed in full below, our October mobile photography challenge. What does it look like to you? We want to see it. 4. 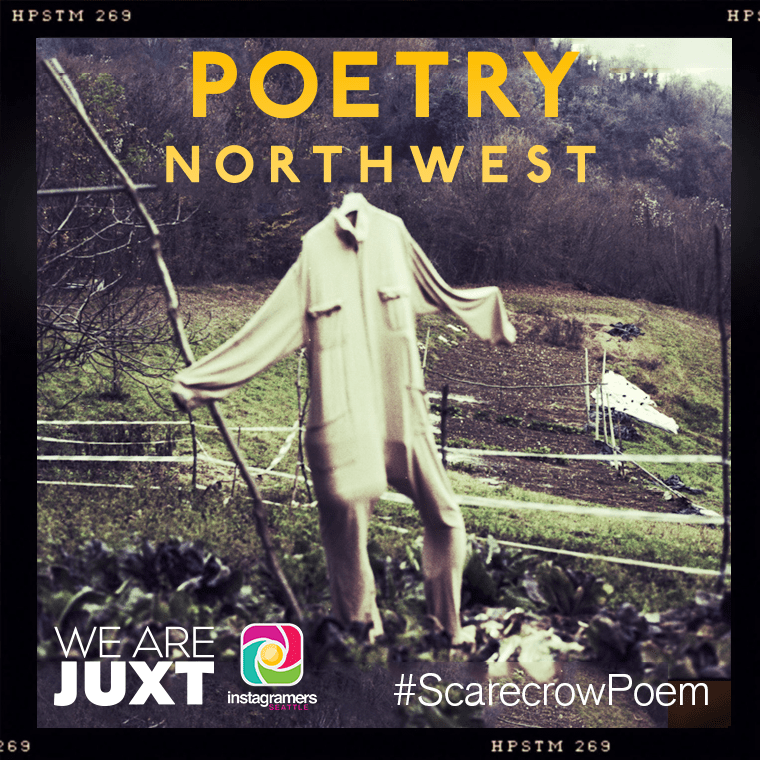 Photos must be posted to Instagram to #ScarecrowPoem in order to be considered. 5. Photos must be posted between October 1 and October 31, 2013. Any photos posted after the close of the challenge will not be considered. are practically cartwheeling out of their flesh. “Scarecrow” appears in our Spring/Summer 2013 Issue. Subscribe today!